André has an ostensible job and identity and quite another in fact. He loves, but is not loved back. Corpses pile up. His destiny and that of several countries intertwine. 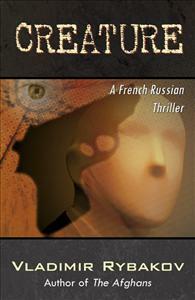 André runs a small firm in Paris taken over from his Russian father. Happy with his mistresses, he is unaccountably drawn to Vera, a Russian Jew living in Israel. He has a second job, one for which his main job is basically a front. Russia’s history and destiny is a recurrent topic in the novel, as is that of several other countries: France, Israel, and especially Poland. It is also a novel of family, of love, and of deception, self-deception, confused personal and cultural identity, and of sexual dysfunction and frustration. And the corpses pile up.